Unfortunately, I cannot yet "Share" my circles... waiting for the feature to roll out across the 50+ million or so users across this blue planet. What circles will you share first? 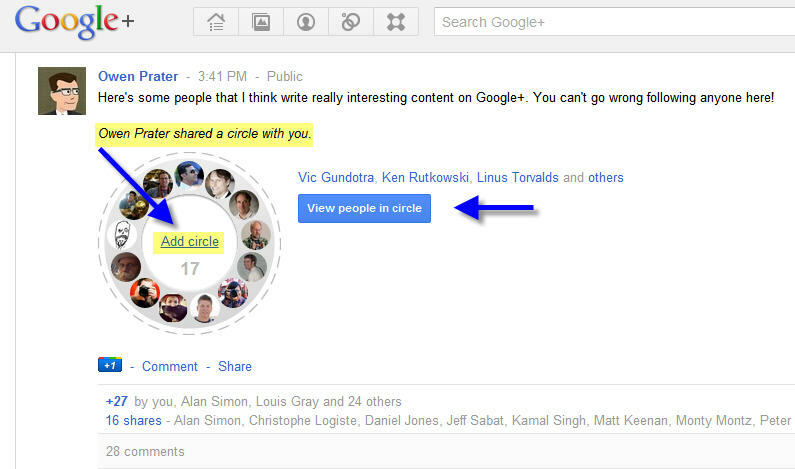 Leave comments / links to those in the comments below so we can see your shared circles. Thanks! ← Twitter announces new features for business profiles "Enhanced Profile Pages" with pinned tweets!